Expressions of Interest sought from Merchandising Companies Waterford was start port to The Tall Ships Races' in July 2005 and official Garda estimates for attendance on the Quays in Waterford and along the Suir Estuary between the morning of Wednesday, July 6 and the afternoon of Saturday, July 9 was 450,000. Using a conservative average spend of under €70 per visitor, Waterford' s hosting of The Tall Ships' Races 2005 provided a direct economic boost of over €30m. This figure is backed up by banking sector estimates that there was an additional €10m in banknotes circulating in the city over the four days, with a single ATM machine dispersing €250,000 in one 48-hour period. The Tall Ships Races 2011 will start in Waterford in July 2011 and it is anticipated that over 400,000 people will visit Waterford's Quayside to see the ships during the four days from June 30th to July 3rd. Waterford City Council believes that substantial merchandising opportunities will exist prior to and during the tall ships at what will be the largest visitor attraction in Ireland in 2011. The Organising Committee are looking for a company who is able to maximise the opportunities available. The objective will be to provide high quality, good value merchandising which provide exposure for the event and can be used by visitors before, during and after the event. 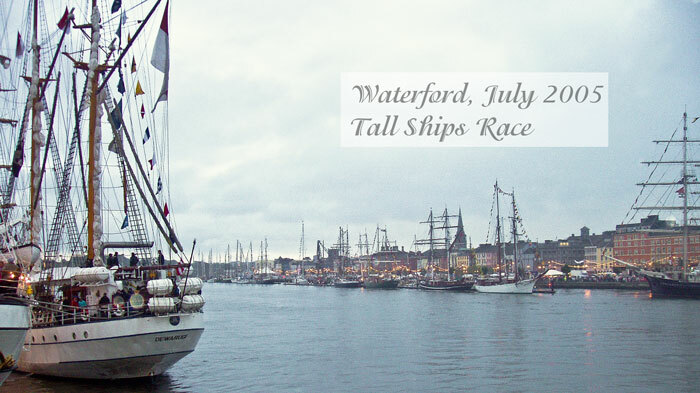 For a negotiated fee the selected company will gain exclusive rights to The Tall Ships Race 2011 - Waterford logo for use on an agreed range of clothing and promotional gifts. In preparation for this The Organising Committee will trademark The Tall Ships Races 2011 – Waterford logo/branding in order to prevent piracy of branded goods. Commercial Impact Studies following the visit of the Tall Ships to Turku, the Finnish Host Port to the Tall Ships Baltic Race 2009, found that an investment of 1.5 million euro yielded a return of 26 million euro to the local economy, which was well above expectations, and this despite one day of constant rain. Turku had around 530,000 visitors during the Tall Ships visit. So all bodes well for the visit of the Tall Ships to Waterford in 2011. Invest a little and we will realise a lot!! 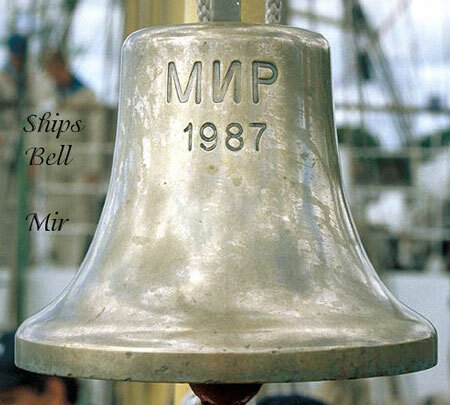 The annual International Sail Training & Tall Ships conference 2009 is being held in Istanbul from the 20-21st November. The Turkish capital is a host port for the Historical Seas Tall Ships Regatta next year in 2010 and the themes for the sail training programme at the yearly gathering are 'engaging with young people' and 'safety at sea'. A delegation led by the Mayor, Cllr. John Halligan, and including the City Manager, Michael Walsh and Des Whelan, Chairman, Tall Ships Races 2011 will be attending. The visit offers this high-powered delegation the opportunity to showcase what Waterford had to offer to those present at the conference and to attract as many of the various classes of Tall Ships as possible to Waterford in 2011. Details of Tall Ships Extravaganza Announced: Preparations are underway for the arrival of the Tall Ships in the City in July 2011. Over 400,000 people are expected for the event. There will be a range of activities including a major concert each evening on the main stage on the Mall and three other stages (North Quay, Gladstone Street and The Plaza) will also have events to entertain the large crowds that are expected. Fireworks will light up the night sky on two occasions and there will be a number of Spraoi acts each day. Farmers markets, food stalls, coffee huts and cafes will keep the people fed and watered. A park and ride system will ensure that the City can cater for the large crowds without clogging the City with cars and there is a possibility that the new bridge over the Suir will be toll-free for the duration of the event. 150 Class A ships have been invited and the City has formally written to 20 agencies asking for Naval Academy ships. What an event to look forward to and it won't be long coming around. Tall Ships 2011 website launched: The website promoting the Tall Ships event in Waterford 2011 has been launched. See www.waterfordtallshipsrace.ie. It's a bit basic at the moment but give it time and it will provide all the up-to-date details of this spectacular event. City of Szczecin to sponsor the Tall Ships Race 2010-1013: The port City of Szczecin in Poland is to become the Presenting Sponsor of the Tall Ships Races from 2010 to 2013, which includes the visit of the Tall Ships to Waterford in 2011. Seewww.sailtraininginternational.org/page.asp?partid=1052. This in effect means that Sail Training International, who are the organisers of the Tall Ships Races, will receive almost 1.5 million euro per year for the duration of the contract. The benefits to Szczecin are that it will contribute 100 young trainees to the Tall Ships Races this year and over 200 next year, thus confirming their commitment to sail training and fostering a love of sailing and the sea among Polish young people. They also become very involved in promotion and in enhancing their own maritime interests. Tall Ships visit in 2011 will cost almost 4 million euro: The overall cost of running the Tall Ships event in 2011 will cost around 3.5 million euro. Waterford City Council will cover around 1 million euro of this cost and hope to obtain the remainder from the Irish Government. DES Whelan has been named as chairman of the city's Tall Ships committee. Formally naming the new chairman (Tuesday 15th September) City Manager, Michael Walsh, said that preparatory work has already started for the hosting of the 2011 race start. The unforgettable spectacle, which brought in excess of half a million visitors to the city in 2005, will involve approximately 80 rigged sailing vessels from across the world competing in the international race earmarked to start in Waterford. Des in Managing Director of WLRfm, the highly successful local radio station in Waterford. The Tall Ships visit to Waterford in 2011 will be some event and Hooks & Crookes are playing their part in promoting it. At all the festivals they attended in 2009, they sported new attire emblazoned with WATERFORD TALL SHIPS RACE 2011. The new kit was very generously sponsored by Waterford Chamber of Commerce.